3-trucks Shay #10 in action on the Yosemite Mountain Sugar Pine RR. See also my Blog (in French). 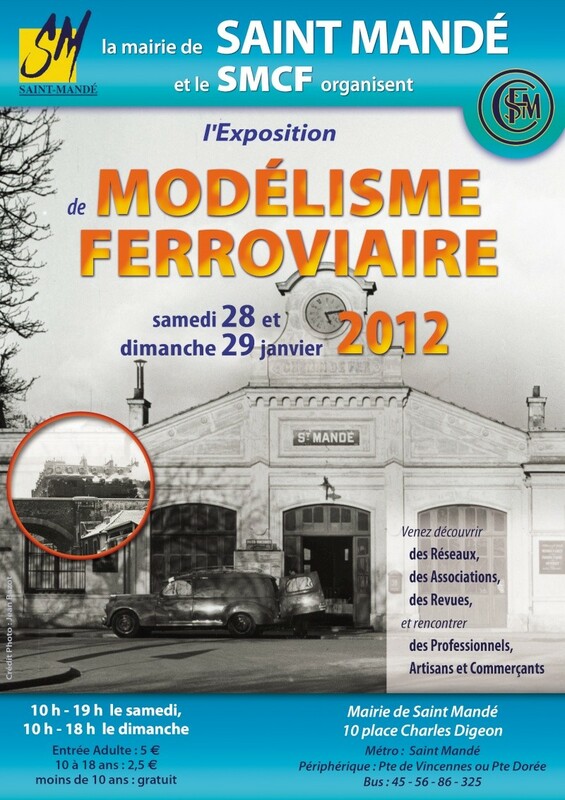 Special Report on Saint-Mandé 2012, the first model railway exhibition of the year in Paris area. These pages are dedicated to one of my center of interest: railways (or "railroads" for our friends from across the Atlantic) and model railways. Unlike most mainstream railfans, my preference goes to "on the fringe" railways: mostly disused, abandoned, long forgotten railways (especially underground) and in railway experiments such as pneumatic railways, cable hauled tramways, early systems of electric traction, etc. Like many railfans, I am also a railway modeller with a special interest in narrow gauge railways in On3, On30, On18, Sn3, HOn3, Nn3 and HOe scales. Information contained in these pages are coming from a variety of sources including books and videos from my personal library, as well as information gathered on the Net from Usenet, Forums and Web pages. These pages are provided on an "as is" basis. All mistakes are mine and I will be happy to correct them. There is also a lot of question marks in these pages and I will appreciate any feedback (please use my Contact Page. All contributions will be duly acknowledged. Phil O'Keefe and his Chicago Tunnel Company unique Web Page. Gilbert Gribi and his Monde du Modélisme from Switzerland. Emmanuel Drouard, fellow countrymen from Clamecy, France, Webmaster of the Rail Vaux d'Yonne site. Johnathan Littell and his fascinating International Urban Adventure Site. Also on social medias: Facebook and Twitter! Some railway videos/are available under different media formats. 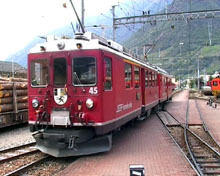 Leaving Tirano., on the Rhaetian Railways (August 2005). Victor Hugo station, Paris Metro. US domain: Cincinnati (OH), Los Angeles (CA), Rochester (NY). Church Hill Tunnel, Richmond, Virginia. Mazet's project for a metropolitan railway "without rails, coaches, tunnels and viaducts" (in french with a summary in english). Girard's water gliding railway. ( en francais / in french). An "hydraulic" railway tested in the 19th century. Montreux MOB station - some pictures (October 14th, 1998) of Montreux MOB narrow gauge station (1 meter and 0.80 meter gauge). Le Petit Train du Jardin d'Acclimatation - 50 cm gauge line, one of the oldest rail operation in Paris still operating. La voie de 60 aux armées - ( en francais / in french) le scan d'un petit recueil d'aquarelles de la guerre de 14-18. 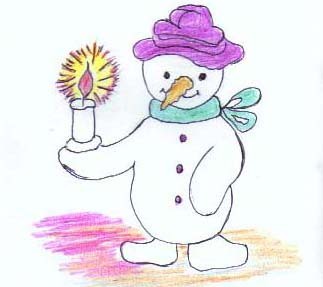 Un visiteur pourra t'il m'en dire plus sur l'auteur de ces dessins ? A strange narrow-gauge roundabout in Changsha, China. Le chemin de fer de la Baie de Somme. Quelques photos prises en gare de Saint-Valéry sur Somme en juillet 1994. Some pictures taken in Saint Valéry sur Somme during the summer of 1994. Quelques photos de l'un des derniers secondaires français à voie métrique./ Some pictures of one of the last meter gauge railway still in operation in France. "Jour de Fête", a 1948 movie by Jacques Tati and Marçay meter-gauge railway station..
Taman Mini 60cm narrow gauge railway, Jakarta, Indonesia. Jakarta's Transportation Museum, Jakarta, Indonesia. Index to the Magazine des Tramways à Vapeur et des Secondaires (in french, published from 1976 to 1989 / 52 issues). 50cm gauge railway at the Paris Museum of Arts and Trades (in french and english). Froissy Steam Festival: 2006 and 2007 issues. 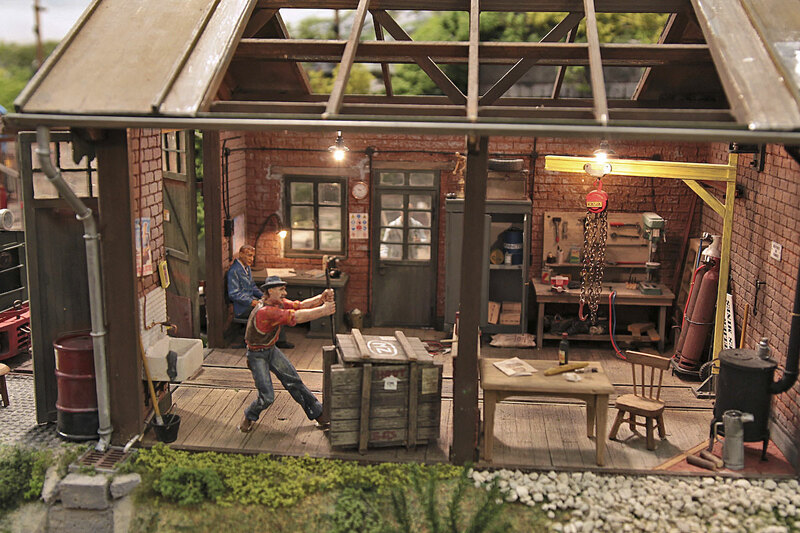 SMRG Solent Model Railway Group, Southampton, England. A tribute to: Pierre Delarue-Nouvellière, artist, photograph and railfan. Mondial de la Maquette 2001, Paris. Mondial de la Maquette 2002, Paris. Mondial de la Maquette 2003, Paris. Mondial de la Maquette 2004, Paris. Mondial de la Maquette 2006, Paris. Expométrique Special Reports: 1998, 1999, 2000, 2001, 2002, 2003, 2004, 2005, 2009. Slide show: Expometrique 2006. (Requires Adobe Flash Player). GEMME specials: Saint Valen'train 1999, Le GEMME au Muséum (2002), A.G. 2002 (19 avril 2002)  Musée des Transports de Valmondois (MTVS). Saint-Mandé Model Railway Show 2003. 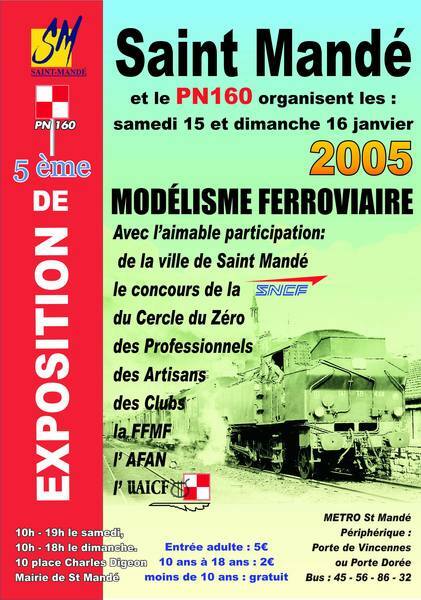 Saint-Mandé Model Railway Show 2005. Escadrille Saint-Michel: Exhibition 2006, March 25th-26th. Le Train Capitale, an Exhibition on Paris Champs-Élysées in 2003. Some pictures of the Clamecy (Nièvre), France, SNCF/CFTA station. A special site dedicated to the history of the city of Clamecy (in french, not railway-related). La Tourte de Montclar, french traditional bread baked in Saint-Georges de Montclar, Dordogne, France. 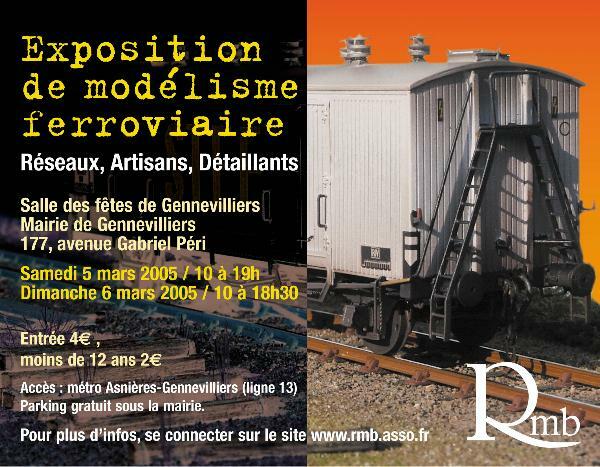 A railway exhibition in Paris (April 1st, 2002). Landresse, Doubs, France, home of the novel "La Guerre des boutons" (War of the buttons), by french author Louis Pergaud..
Old photographs of Champigny-en-Beauce, home of the famous "Cité Agricole" built by François-Philibert Dessaignes.